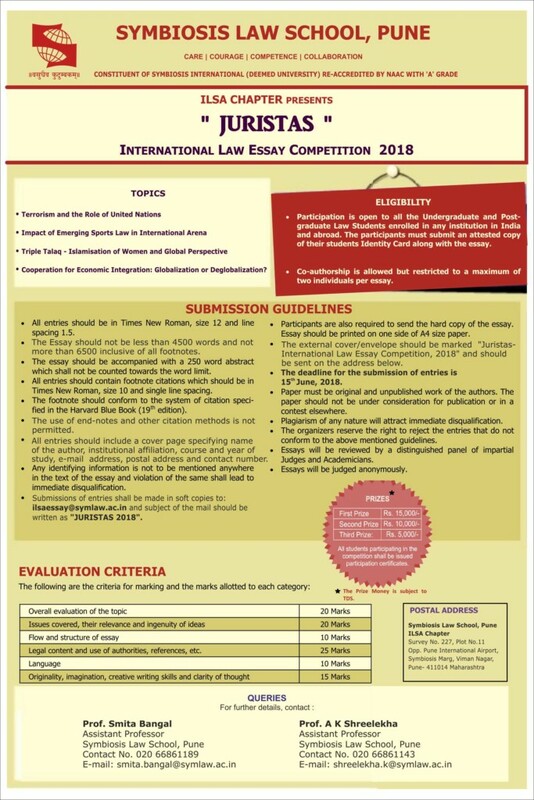 Symbiosis Law School, Pune, in association with International Law Students Association (ILSA) Chapter is organizing the “Juristas-International Law Essay Competition 2018”. This competition aims to promote research and knowledge creation in the field of international law. Cooperation for Economic Integration: Globalisation or Deglobalisation? Participation is open to all UG and PG Law students in any institution in India and abroad. Send the soft copy of the essay to ilsaessay@symlaw.ac.in with the subject of the email written as “JURISTAS 2018“. The deadline for the submission of entries is 15th June, 2018. All the submitted entries shall be forwarded for ranking, to a panel of eminent experts in the field of International Law. The first, second and third place holders, thus ranked, shall be awarded cash prizes and certificates. Besides, all the participants shall be issued with participation certificates. 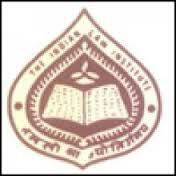 For further details or any queries please send a mail to ilsaessay@symlaw.ac.in.